How about some images of giraffes, the tallest animal walking the earth? These are images I took during a visit to the Hluhluwe-Umfolozi Game Reserve in South Africa a while ago. 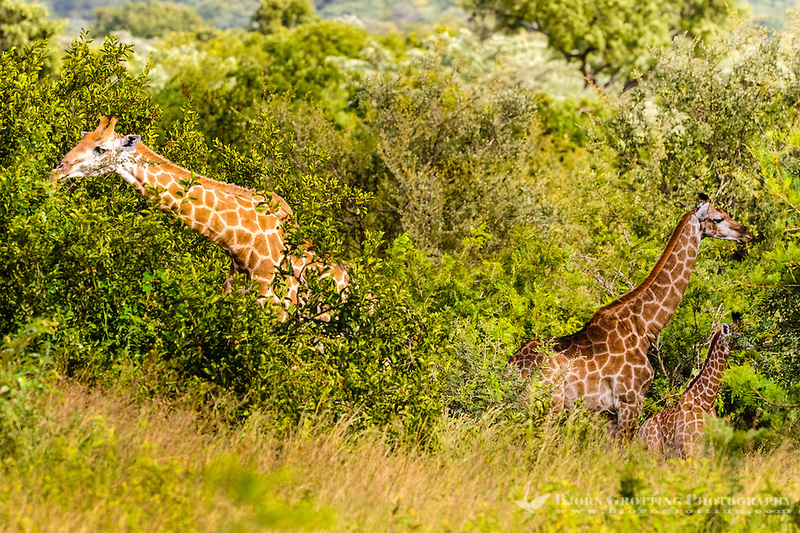 Hluhluwe-Umfolozi is located 280 km north of Durban, and is the oldest proclaimed park in Africa. 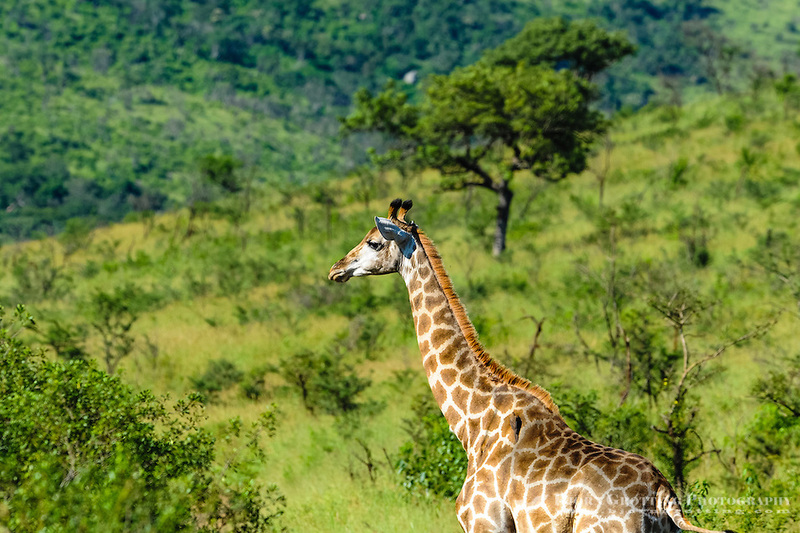 Did you know that the giraffes’ scientific name (Giraffa camelopardalis) refers to its irregular patches of color resembling a leopards spots and to its face which is similar to a camel, hence the English name cameleopard? Cameleopard was used in the English language from the 14th century till the 19th century, when it was replaced by giraffa. The name giraffe though is first known as an Arabic word (ziraafa or zurapha). The tallest giraffe ever measured was almost 6 meters high, but the common height varies between 4 to 5 meters. There are at least 9 subspecies of giraffe which varies in color, pattern, size and habitat. 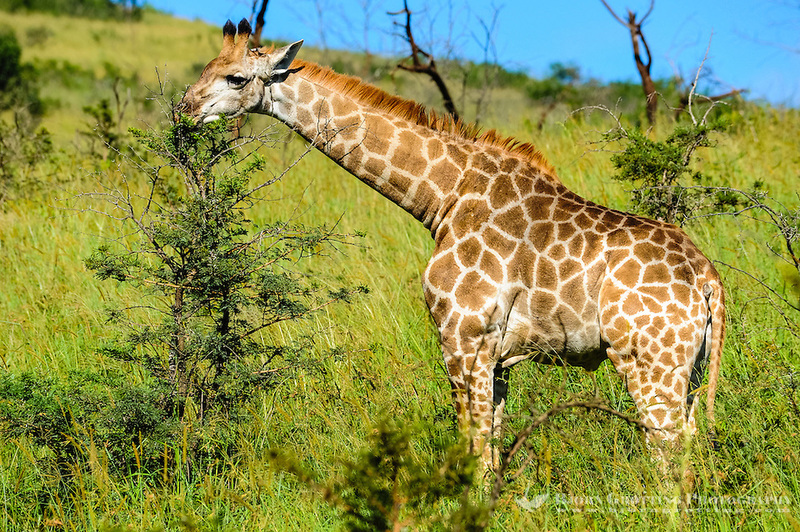 The giraffes you can see on these photos is the South African Giraffe (Giraffa camelopardalis giraffa), which is a subspecies found in South Africa, Namibia, Botswana, Zimbabwe and Mozambique. 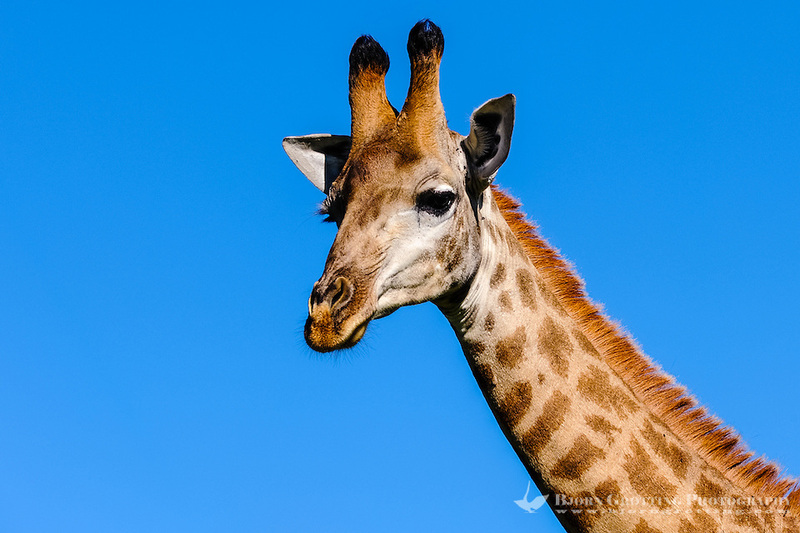 The giraffes’ main trademark is its long neck which can be over 2 meters. This has led to one of the most remarkable circulatory systems in the world of mammals. Its heart can weigh up to 10 kg and be about 60 cm long. It must generate at least double the normal blood pressure compared to other large mammals to keep a steady flow of blood to its brain. This kind of blood pressure would kill a human in seconds. A special regulatory system prevents excess blood flow to the brain when it lowers its head, for example when it needs to drink. 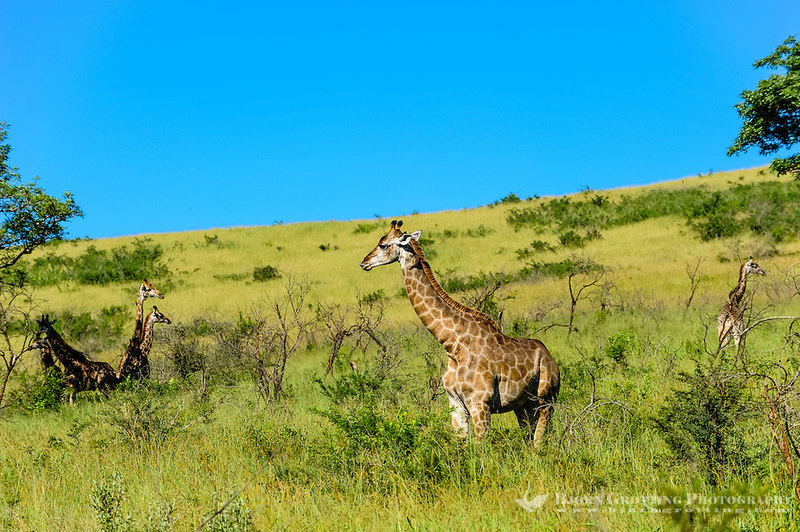 The giraffe is not regarded as an endangered species overall, even if a few subspecies has been classified as such. It is a protected species in most African countries, but its habitats are constantly being reduced.